Some cities build their renowned status on their history, in Europe at least that amounts to must-see sights and culture going back thousands of years. Others like San Sebastián are famous for their excellence in food. But to only think of the food, with this European Capital of Culture, would be to miss so much more in one of Spain’s most thriving, vibrant destinations. San Sebastian has great food – its fame here is most definitely justified. But as visitors soon recognise, it also has an unbridled spirit – a joie de vivre, and effervescence that you may well expect to find in the gutsy cities of Andalusia, or perhaps Barcelona. There’s something deliciously different and tempting about this year’s European Capital of Culture, and part of that lies in the undiscovered. 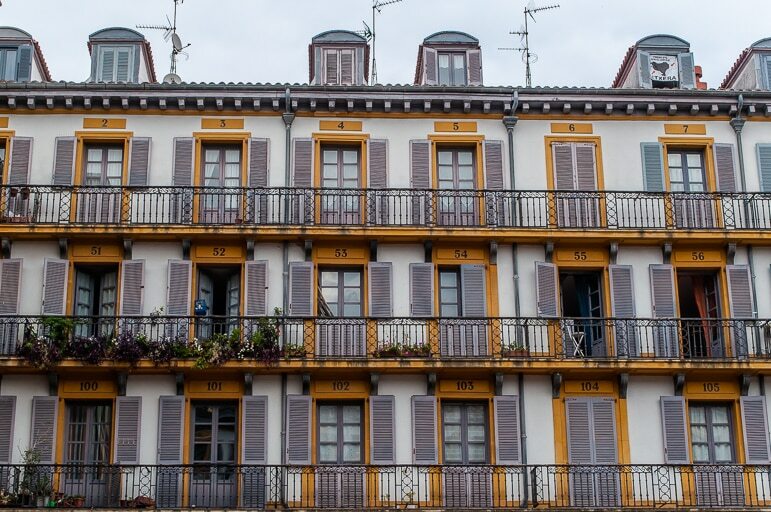 A city on the Atlantic coast of northern Spain, it is in one of the country’s less-visited and perhaps least understood regions – Basque Country. 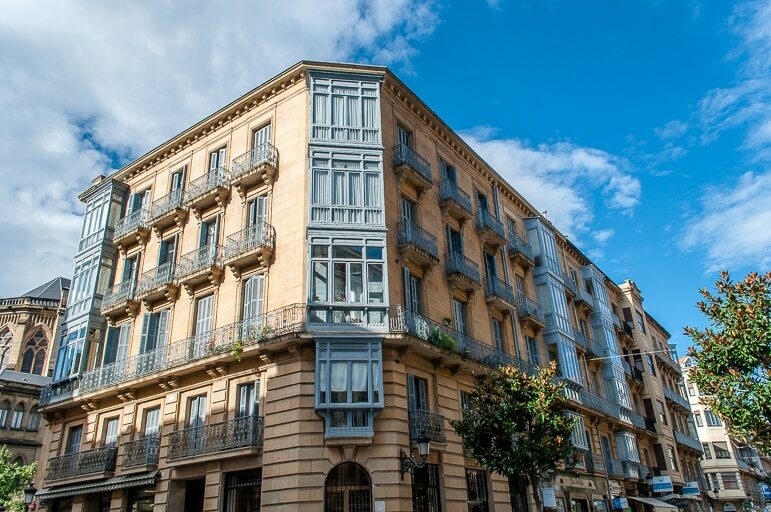 First, there are fewer visitors to northern Spain – approximately 10 per cent of the millions of British holidaymakers that visit the country each year go to the north, heading instead for the sunshine shores of the south and east coasts. Then there is the Basque region – the name one time synonymous with fights for independence and separatist action that perhaps some visitors found difficult to understand. As for the weather – don’t be fooled, even European Atlantic shores can see heavenly sunshine. 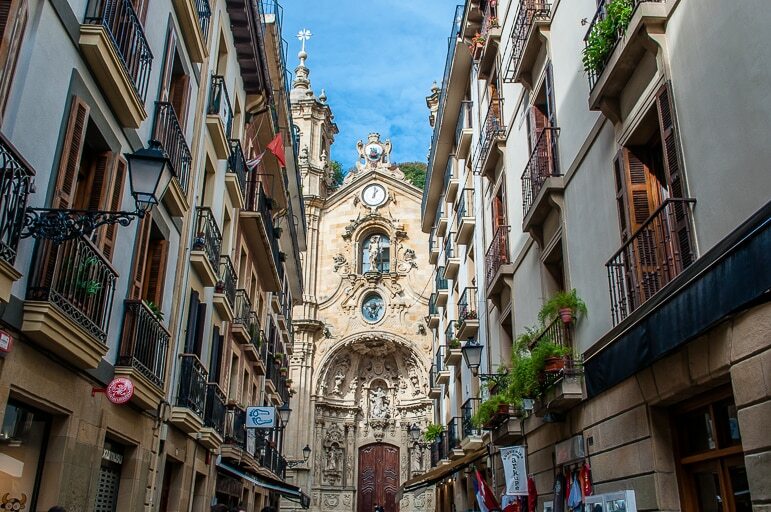 So there’s no reason why San Sebastián shouldn’t make your list of places to visit this year – in fact, we have many reasons why it should. 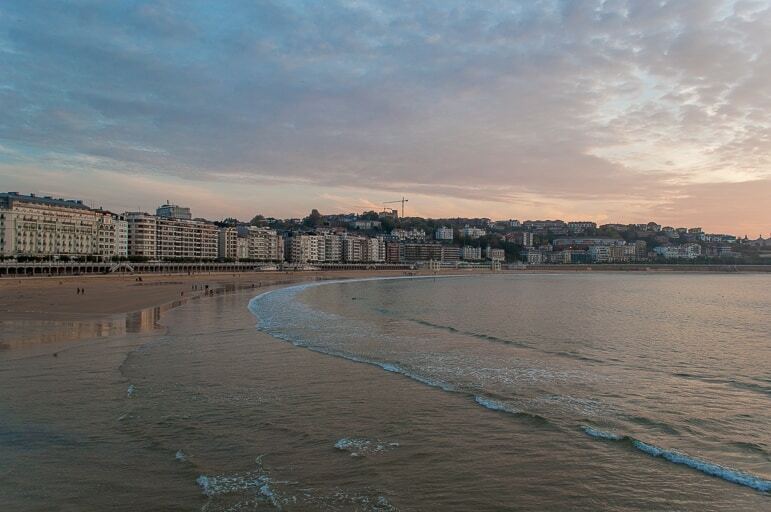 Here’s our guide to the best places to go in San Sebastián. It would almost be amiss not to start with food in San Sebastián. 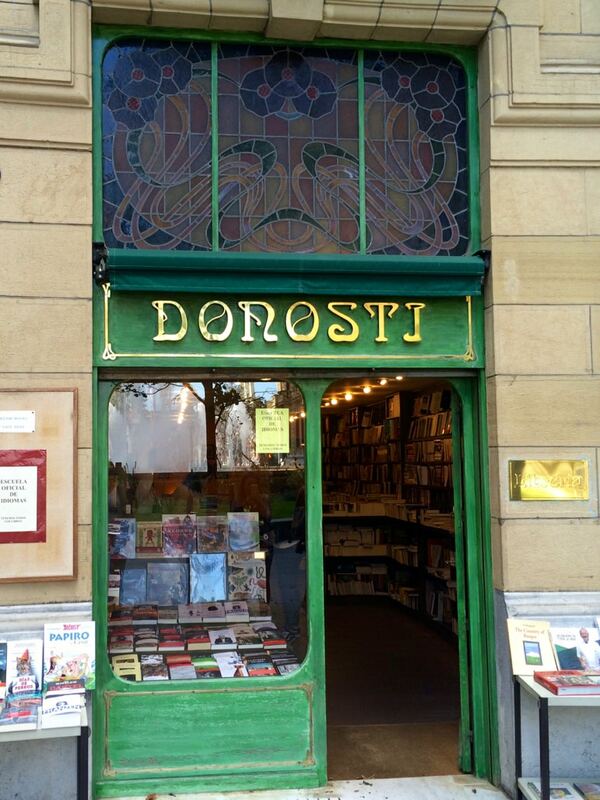 It is one of the most famous centres for gastronomy in Europe, if not the world. 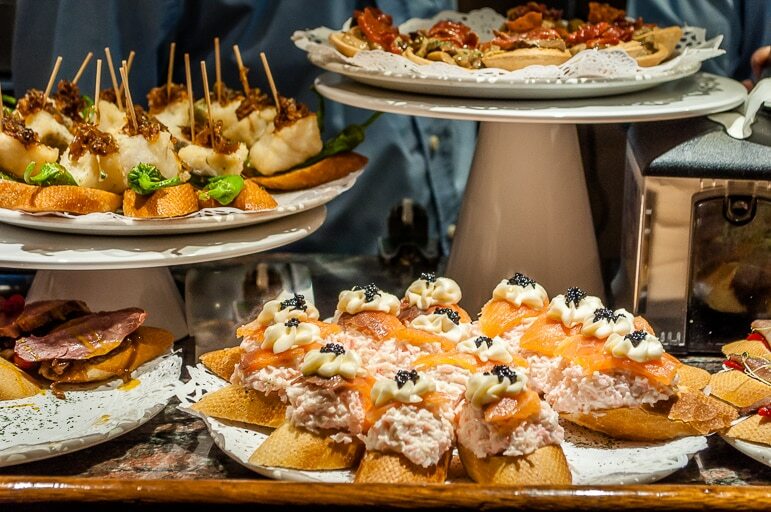 Head to San Sebastián to indulge in pintxos – the city’s most famous snack. However even calling it a snack belittles their deliciousness, the craft of pintxos bar chefs and the history and culture that surrounds them. Read more about pintxos in our guide to food in San Sebastián. Even beyond the city’s world-famous pintxos district, there is fantastic food to discover. 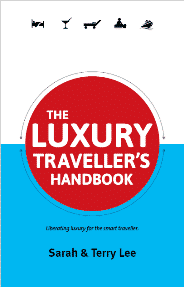 San Sebastián has more Michelin-starred restaurants per square metre than the likes of Paris – in fact, only Kyoto in Japan has held the same title before. For food with stars head to Restaurante Arzak for Basque and avant-garde cuisine, Akelarre for an exciting menu served alongside panoramic sea views, or Martín Berasategui for imaginative, fresh cuisine that’s deeply rooted in its environment. 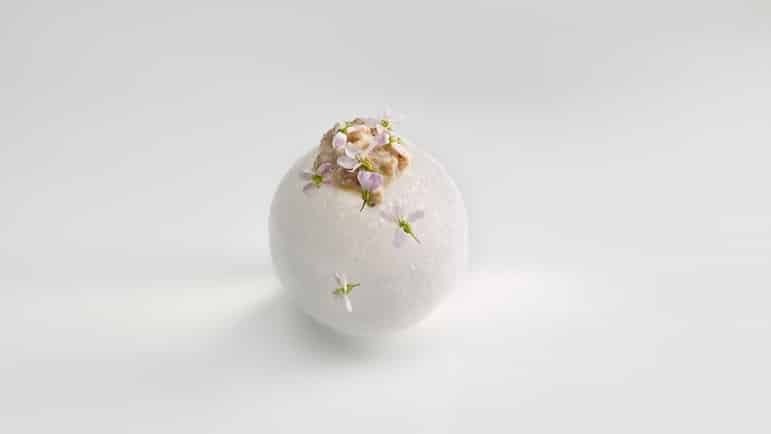 Meanwhile, Andoni Luis Aduriz’s Mugaritz – rated as the sixth best restaurant in the world according to The World’s Best 50 Restaurants 2015, dispenses with traditional dining norms to deliver a complete sensory and creative experience. Instead of presenting diners with menus, they are given 24 individually tailored courses to suit their dietary requirements and desires. It also has edible cutlery and table centrepieces. Aduriz, a former student of Ferran Adrià at El Bulli, named his restaurant after a solitary, 200-year-old oak tree that grows in the hills inland from San Sebastián. If learning to cook Basque food excites you then demonstrations and masterclasses are given at Akalarre, while Tenedor runs regular pintxos workshops that are also incredible fun. 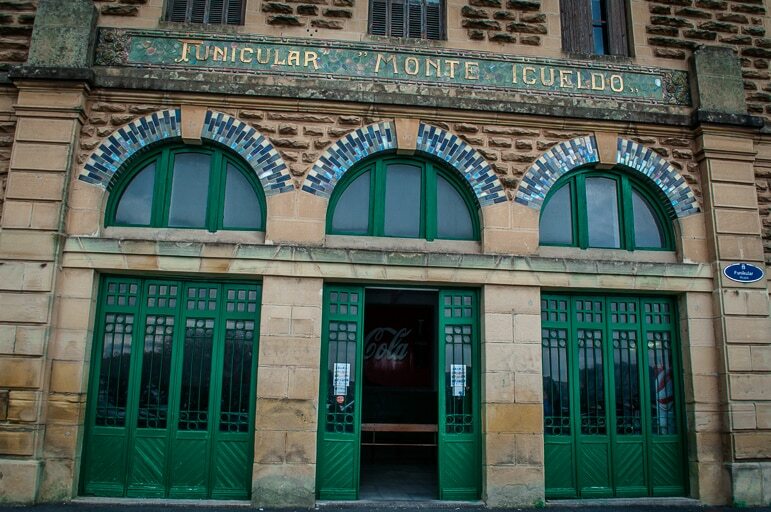 Alongside food, San Sebastián has trademark drinks, intrinsic to the city’s culture. First, there’s txakoli – a lightly sparkling, dry white wine often served with pintxos. It’s perfect for the hot summer days and afternoon drinking as it’s relatively light on alcohol content. Cider is a big part of San Sebastián’s scene and has been produced at cider houses in the region for thousands of years. I have to confess my trip to the cider house wasn’t my favourite night out in the city, I’m used to the sweeter (sweetened?) ciders of the UK and I wasn’t excited by the rustic food served there. But it is an experience and one which others in my group enjoyed. We visited Petritegi which has been producing cider for about 500 years, first in traditional wooden presses, but today production is largely automated. 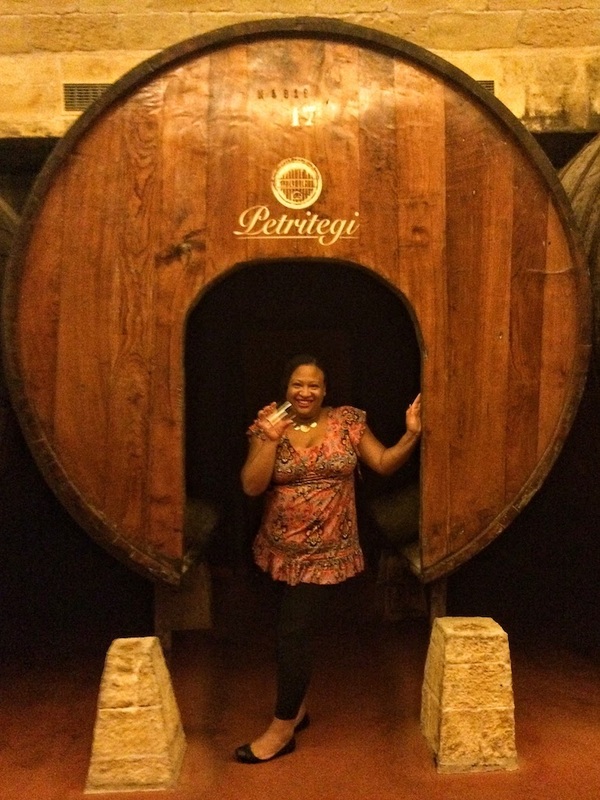 You will still be served cider in the traditional Basque way though – shooting straight from the vat at high speed. Your job: catch it in a glass, drink and enjoy. 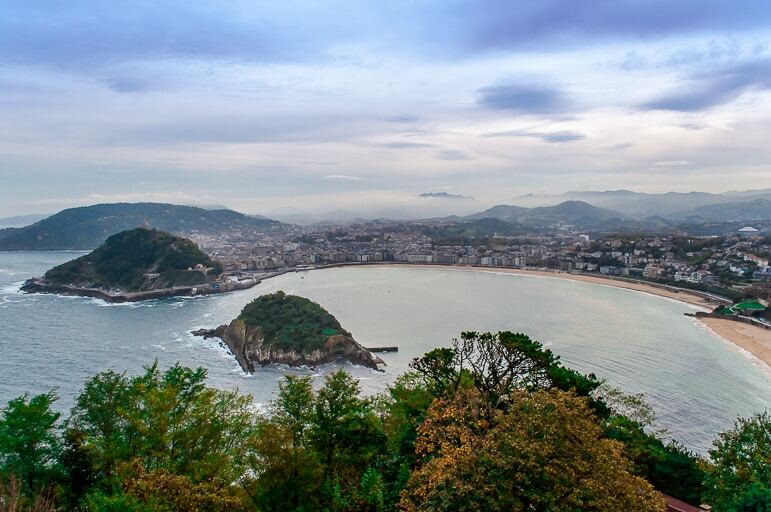 Basque culture runs through San Sebastián so expect to find Basque influences in the language (street signs are in Basque and Castilian), food, music, art and almost every aspect of life in the city. This vivid mix of cultures – a unique blend of the best of northern Spain and southern France (there are just 50 kilometres from the Basque towns of south-west France, such as Biarritz, to San Sebastián) is part of what makes this European Capital of Culture so interesting. San Sebastián’s old town has a host of fascinating buildings including its former City Hall in Plaza de la Constitución. The balconies on the colourful building display numbers dating back to when it was used as a bullring and families around the city had their own viewing area. 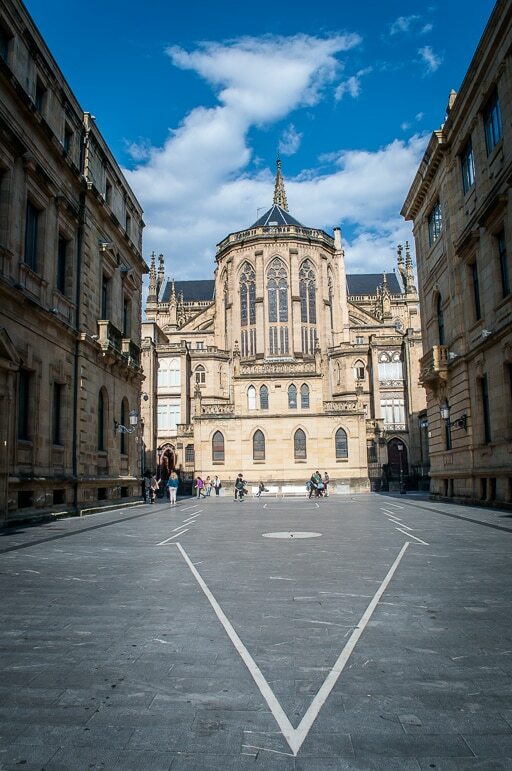 Nearby, the Basilica of Santa Maria is an impressive Baroque building in Calle Mayor. The Basilica was built between 1743 and 1774 on the foundations of an earlier church that occupied the same space. The main door sits in a straight line with the entrance to the Buen Pastor Cathedral. The cathedral built in slate and stone from Monte Igueldo opened in 1897, taking its inspiration from medieval churches of Germany and France. 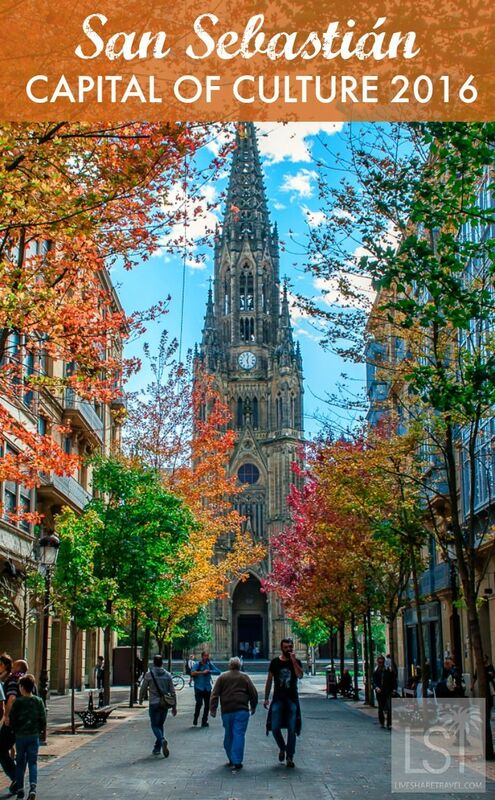 Proof of this inspiration is the steeple crowning the church and earning it the title of “tallest building in San Sebastián”. 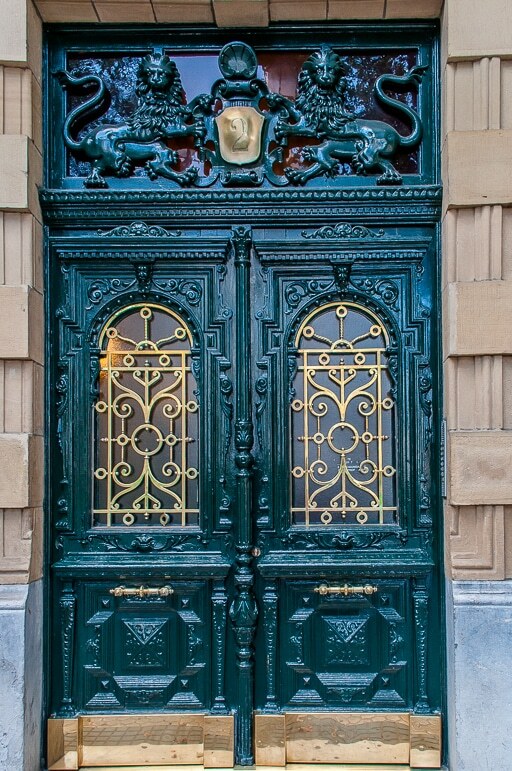 San Telmo Museum has everything from archaeological finds to the story of life in San Sebastián. 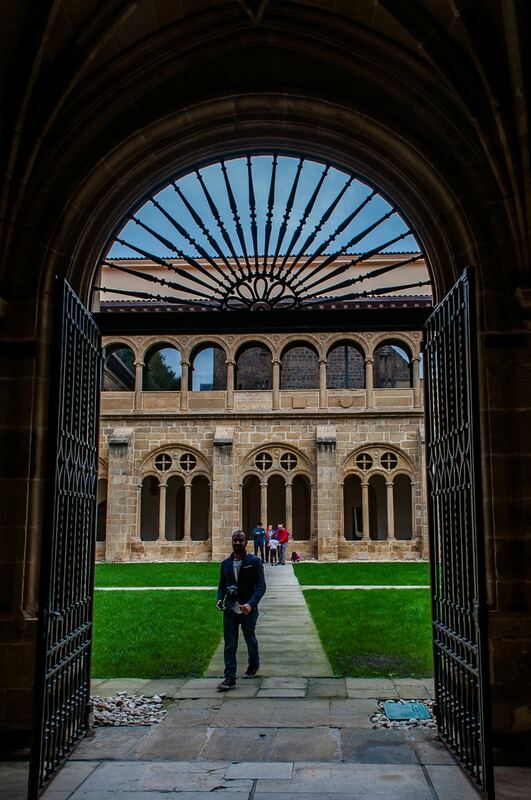 It’s a must visit to learn more about the way of life in the Basque Country and to enjoy its 16th-century monastic interiors, secreted away by a more modern frontage. 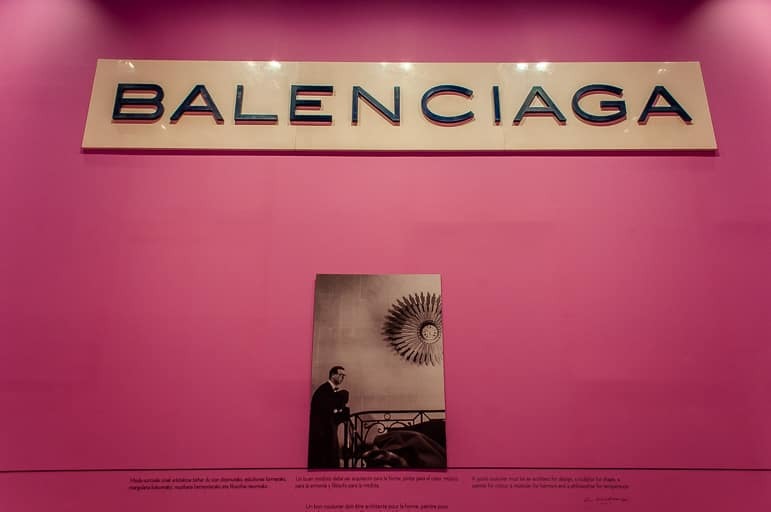 Discover the life and craft of local boy and internationally renowned fashion designer Christóbal Balenciaga at the Balenciaga Museum in his hometown of Getaria, just half an hour’s drive from San Sebastián. It’s a fascinating museum with plenty of his pieces on display. 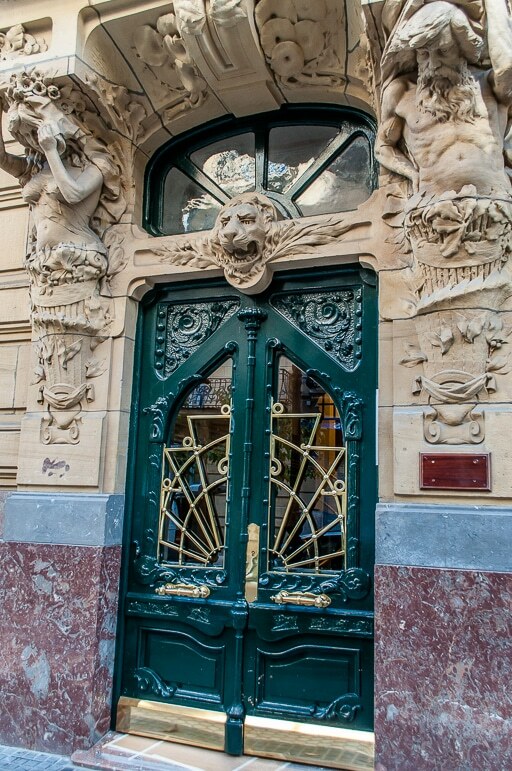 Or just take a walk and enjoy the mix of architecture from Belle Epoque to contemporary. 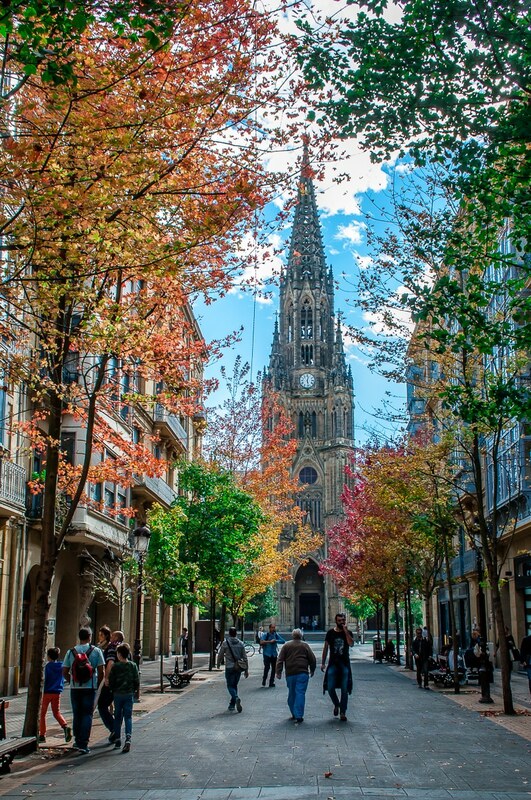 San Sebastián has great corners for a peaceful escape. 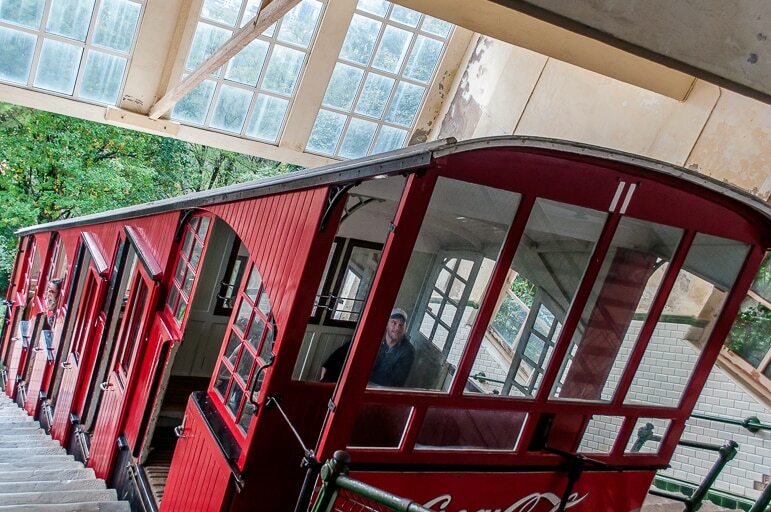 See the European Capital of Culture from on high by taking the funicular up to Monte Igueldo. Here you can marvel at its glorious panorama, taking in its main beach, La Concha, the Atlantic and Santa Clara Island just off the coast. Santa Clara itself is worth a visit during the summer months when there are regular ferries making the ten-minute journey to it. It is also just 350m from San Sebastián – the last 50m the only part to be outside the cordoned off area to keep swimmers away from boats. So strong swimmers could head over from La Concha for some barefoot escapism. Its beach, Playa de la Isla, is a popular choice, while it also has a lovely spot for picnics at the top of the island. La Perla Spa on La Concha beach is a spa with culture, heritage and seaside views. Beloved by Spain’s aristocracy it quickly grew in popularity with those who believed in the healing powers of the Atlantic sea air. The thalassotherapy pools are still served by saltwater today. Read more in our story of La Perla Spa. The beach of La Concha is another popular spot for a little rest and relaxation – at 1,350m long and 40m deep there’s also plenty of space to place your towel, even in summer. However, there are other beaches making up San Sebastián’s seafront including Ondaretta, Zurriola, and the small, isolated but pebbly beach of Murgita. Alternatively, go for a strong along La Concha’s beachfront promenade and watch the sun set. 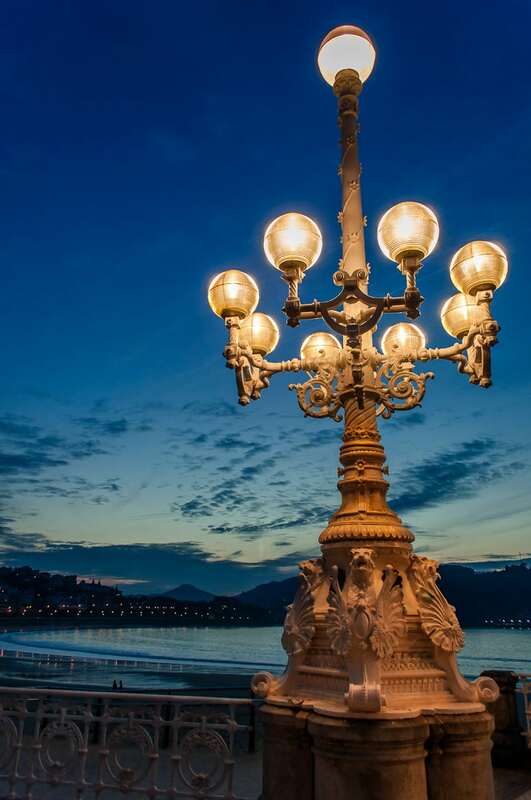 With San Sebastián enjoying a chance to show off its many cultural attractions this year, there is a daily agenda of European Capital of Culture events happening in the city. 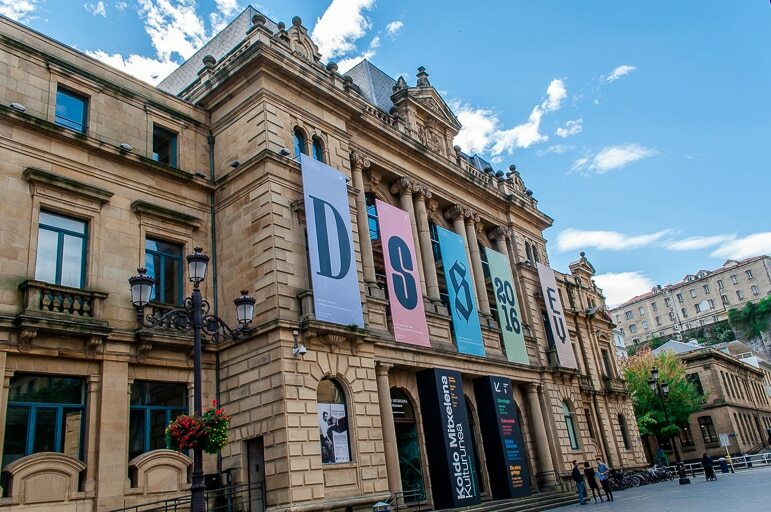 These include exhibitions on women and the sea, hiking and the Basque way of life, twin towns and cultural exchange; reflective talks and debates, exploring everything from economic and environmental challenges of the 21st century to overcoming past conflicts in the Basque Country.For foodies, there are dinner clubs and show cooking events. For the artistic there are street dance shows, guitar masterclasses to get you playing like Hendrix, or you can sit back and enjoy a musical performance, or evening of film. The list is almost endless. While planning your visit take a look at the full list of events, projects and activities on the San Sebastian/Donastia 2016 site. 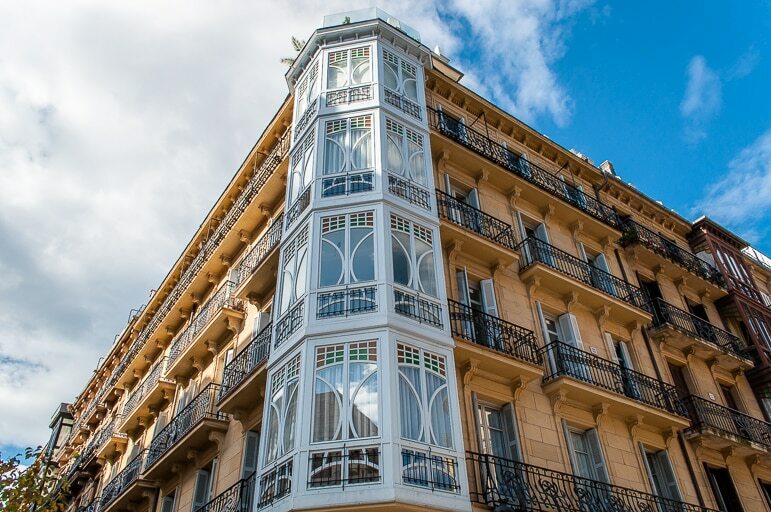 Hotel de Londres y Inglaterra – sea views and a delightful Englishness, this is the biggest and grandest hotel by La Concha beach. 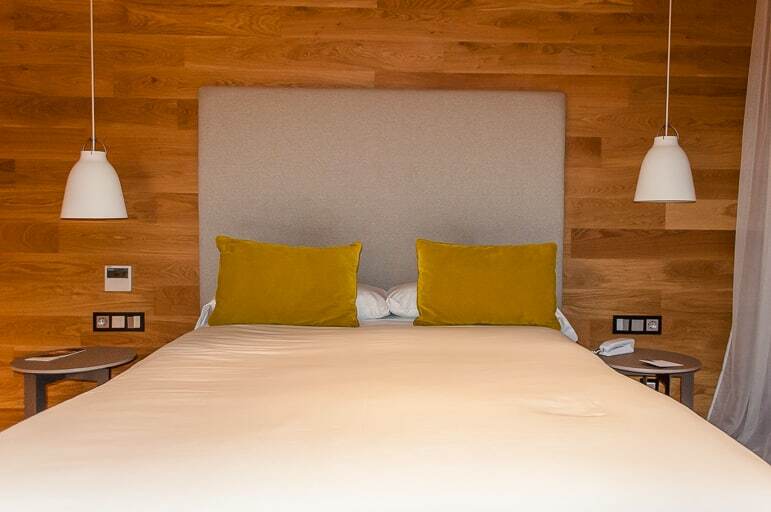 Hotel Zenit – four-star with plenty of modern comforts in the European Capital of Culture, this hotel is a steal starting at just €70 a night. Wow, your photos are gorgeous! I’d love to visit San Sebastián and plan a foodie trip. Your salmon photo looks delish! Thanks so much, Miriam. 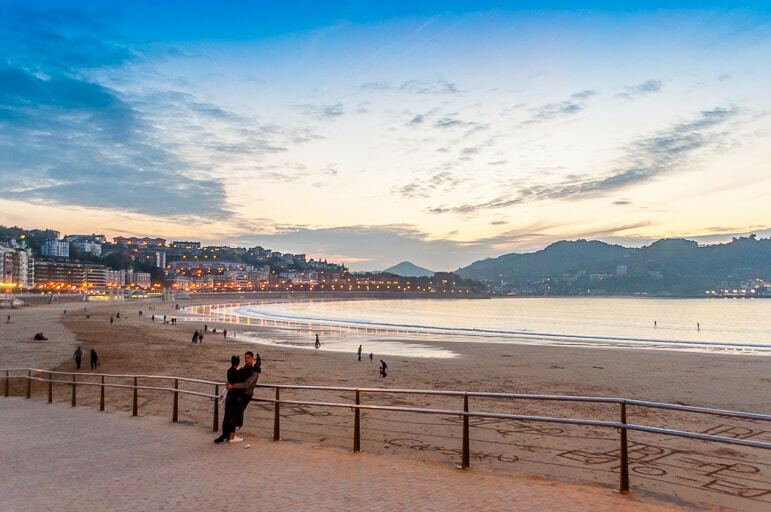 Do it – a foodie trip to San Sebastian is a perfect way to explore it, and fantastically tasty too of course! No problem Kate – it’s a beautiful city and so great for food – it’s worth visiting for that alone. Hope you manage to get there this year to enjoy the Capital of Culture events.